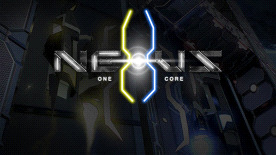 The co-op mode is based on a principle of cooperative and innovative gameplay : the fusion. It asks players reflexes, synchronization but also and especially the communication to avoid crashing against a wall. In short, whether you are solo or with friends, skilled or not so good, surpass yourself to enter in the Top 10 and have great experience games with NeXus!